WILL YOU LIKE TO MAKE MONEY, DOING WHAT YOU LOVE, AND USED TO DO FOR FREE? You and I know that starting your own business can be a very daunting task, and running the same profitably is nothing close to a walk in the park. In my over 12 years as an entrepreneur, I have done several businesses ranging from skin care products to automobile, but the most fulfilling of these is my dream business. A dream business is that business that fulfils you. A business that you are happy running. A business that takes advantage of opportunities around and within you. A business that you can do continually and enjoyably. A business that takes into consideration your natural abilities, gifting, skills, experience and so on. It is basically a business in which you do what you love (your passion) and you make a heck load of money while doing it. You ask again, "Is this really possible to find and build a business around my passion? 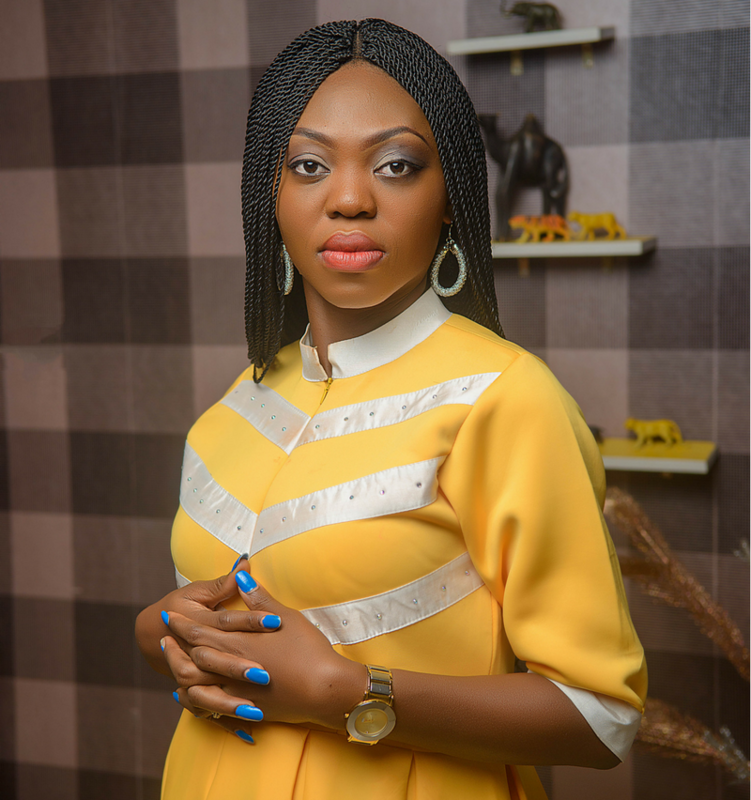 Being that I’m someone who has been doing this kind of business successfully for over two years now, I can categorically tell you that it’s one of the best things that can happen to you. Actually I believe that it’s one of God greatest intentions that we as humans earn a fee for what we would have done for free. This is why I am inviting you to this special online mastermind where I will be sharing with you my exact model which has worked for me and for over 500 of my students. I will be teaching you on how to get started on that dream business that you have been procrastinating or which you are totally lost as to how to make money from it. So you are good at painting, photography, you are good with children, colors, numbers, grammar, but you just don’t know how that can translate into money for you. I mean, you do some things so well and your family and friends tell you that you’re fantastic at it but still you slave away in a 9-5 job, because you are completely lost as to how to do it, this virtual mastermind is for you. I want to help you gain freedom. I want to show you that you don't have to spend your life doing what you're frustrated at because you need money. There is a fun way of making money and that is what I will expose you to at this mastermind. How to promote yourself for sales and profits so you can finally be financially free to make empowered decisions. You will also have access to a community and support of women who are on the same journey with you, and who will encourage every step of the way as you build this business of your passion. 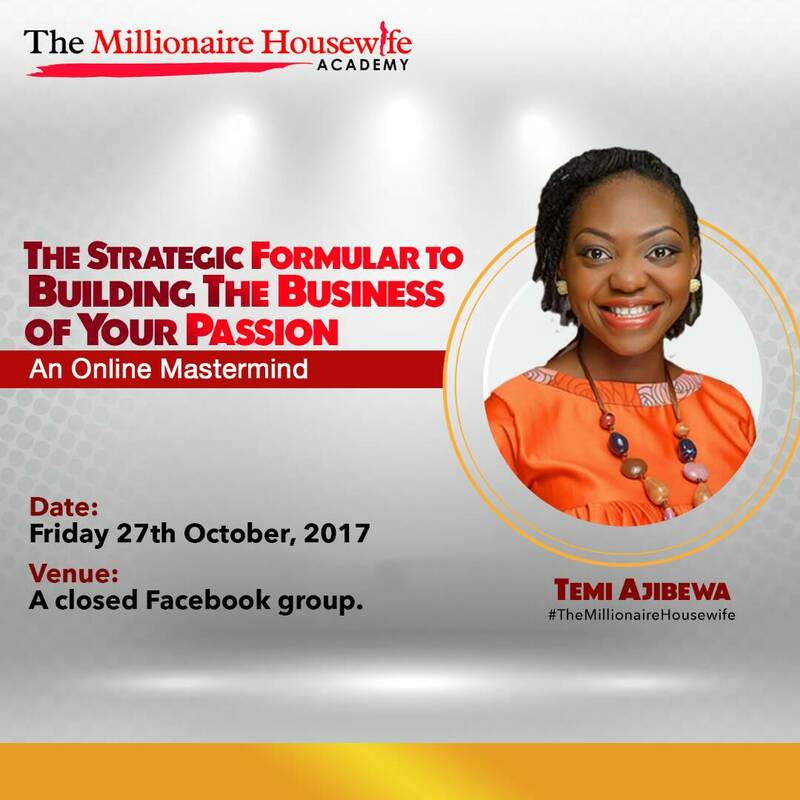 I am Temi Ajibewa #TheMillionaireHousewife, the Founder of The Millionaire Housewife Academy. As an Online Business Coach, I help female professionals and entrepreneurs to start, grow and profit from their online businesses by taking advantage of opportunities around and within them, so that they can decide to be a millionaire housewife like me. In the past 12 years, I have run several businesses as a serial entrepreneur but none brings joy and fulfillment to me like the business of passion. I mean I can go on and on about how to start and grow a profitable business but trust me, apart from making money, you also want to enjoy what you do to make money. You want to have a purpose to your moneymaking activities. You want to feel great and not spent making money. Since I became a business coach, one of the most frequent questions I've gotten is 'Temi, what business do I start?' I wrote a book on this where I practically gave people the blueprint to how they can find their passions so they can build a business around it but then most people still had difficulty going through the process because they find it more effective to have someone teach them than reading a book, (because it gives them the opportunity to ask questions that are peculiar to them and points not raised in the book will be thrashed), I have come up with this mastermind. I can't miss this. How do I pay? I'm outside Nigeria, how do I pay? How will the class hold? Upon payment, you will be contacted via the email you submitted so you can be added to the closed Facebook group or call +2348038633667. I'm not ready for the mastermind now, how else can I connect with you?